Wireless is the trend : telephones, internet, etc...The only thing that is not transmitted wirelessly these days is electricity. Therefore, like us, you cannot stand the sight of this hideous power strip, nor this imbroglio of cables and transformers. 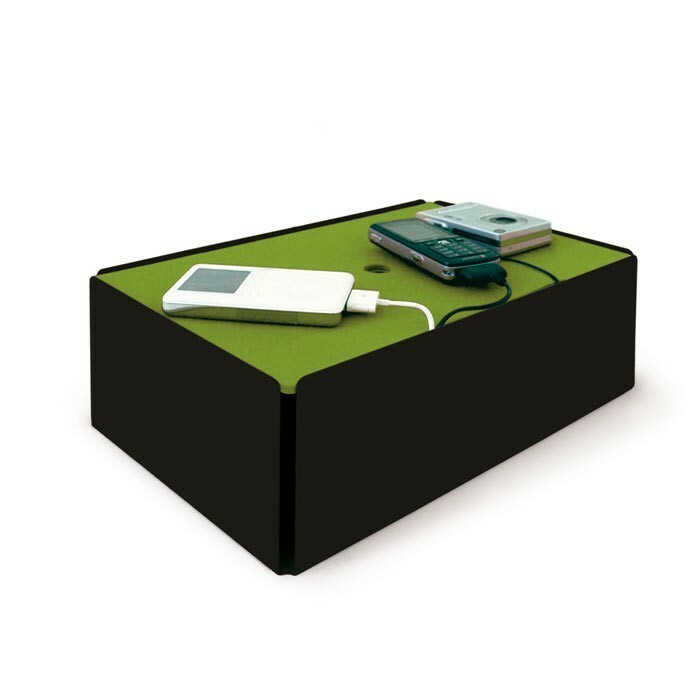 Here is a solution: the charge box! Transformers and power strips are easily hidden inside, but your mobile or your iPod remains in full view, laying comfortably on the felt fabric. NB ! the power strip is not delivered with the charge box. If wireless is the trend (telephones, wifi, etc...), so are nomadic products. And yet the only thing that is not transmitted wirelessly these days is electricity. 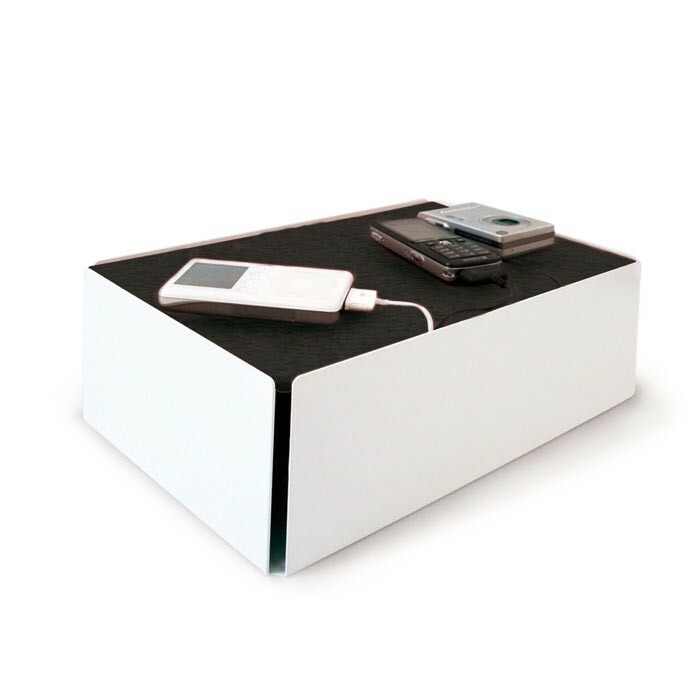 We therefore find ourselves owning beautiful and microscopic mobile phones, digital cameras, and mp3 players, but also numerous chargers, because their batteries are greedy on electricity. 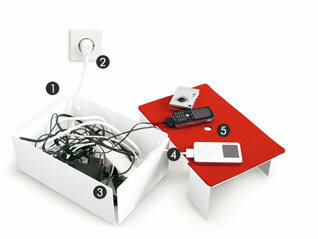 The charge box is the practical and aesthetic solution to this modern imbroglio of cables and transformers. quality -made in Germany by a design object specialist, the charge box is built in steel then covered in a white powdered paint. Germany quality as we like it. 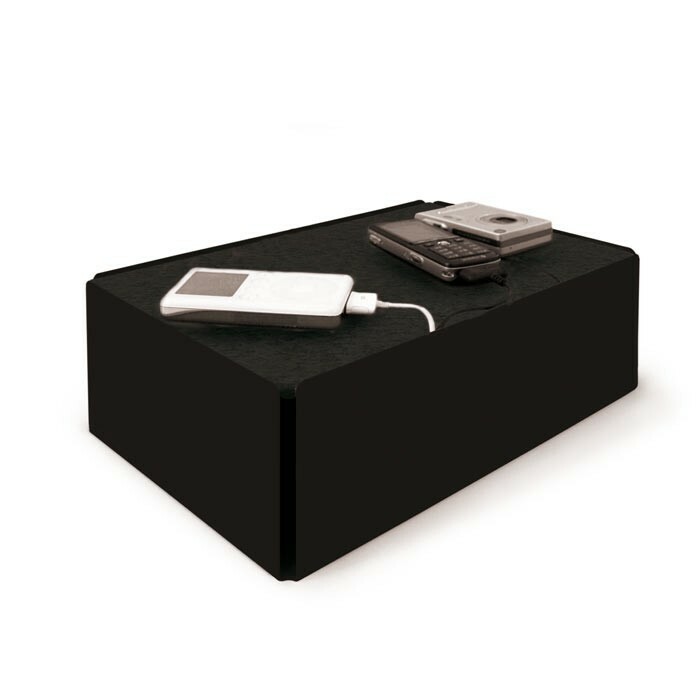 practicality -transformers and power strips are easily hidden inside, but your mobile or your iPod remains in full view, laying comfortably on the felt fabric. Your devices are thus always at hand. simplicity -you only need to pass the mains cable of your power strip in one of the slits designed to hide the strip; then, to plug or unplug a charger, you simply put your finger in the hole in the lid, lift it, and you have access to the shambles, well hidden so far.